Reach up to the CD shelf and pull a handful of Fred HerschCDS down. You'll find that the pianist has a good thing going with the Village Vanguard. 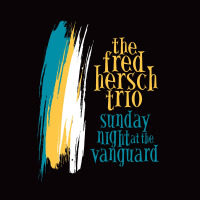 Alive At The Vanguard (Palmetto Records, 2012) a stellar two CD set, and terrific solo set, Alone At the Vanguard (Palmetto Records, 2011), are Hersch's most recent recordings from the legendary venue; and now he and his trio offer up Sunday Night At the Vanguard. Hersch says this is his best trio album. Almost every artist says that about their latest—that this one's the best. But he might be right. The vote here would have gone to a studio recording, Whirl (Palmetto Records, 2010), a marvelous in-the-zone effort with this same trio—John Hebert on bass, Eric McPherson playing drums—until Sunday Night At The Vanguard rolled around. Hersch's output has been consistently excellent, but sometimes—as on this special Sunday Night—the stars align. The trio, from the opening notes of "The Cockeyed Optimist," is locked into and to a telepathic interplay zone—playful and eloquent, elegant and assured. The Lennon and McCartney gem, "For No One," has the forlorn desperation of the song's lyrical content. The Beatles' version—a masterpiece in its own right—didn't take things to this dark of a place. Kenny Wheeler's "Everybody's Song But My Own" rolls in a restless, jittery mode. "The Peacocks," from the pen of Jimmy Rowles, is pensive, lonely. Hersch explores an almost unmatchable majesty of the tune, with a bit of dissonance, before he jumps into Thelonious Monk, with "We See," an irrepressible jewel, followed—as an encore to the show—the Fred Hersch-penned "Valentine," one of the more inward tunes in Hersch's songbook, counterpointing a mostly gregarious, effervescent set by one of the jazz world's top piano trios at the top of their game. A Cockeyed Optimist:Serpentine; The Optimum Thing; Calligram; Blackwing Palomino; For No One; Everybody's Song But My Own; The Peacocks; We See; Solo Encore: Valentine. 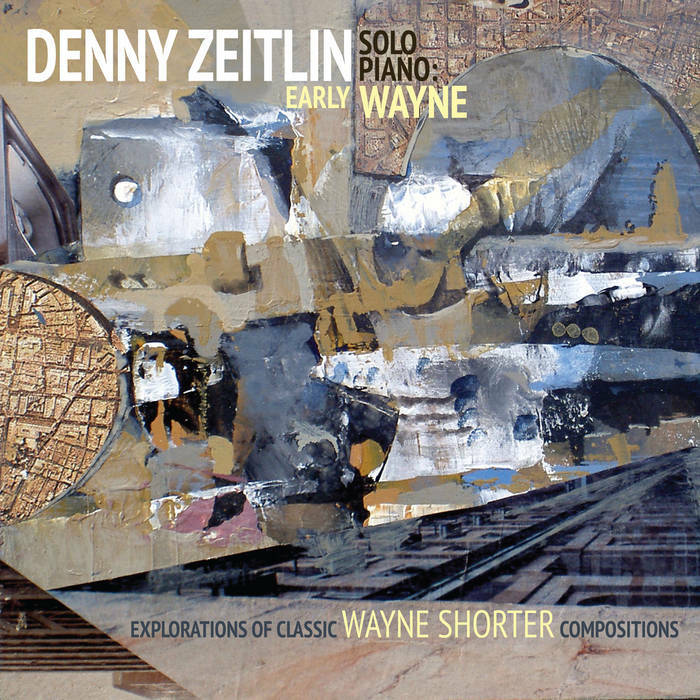 Early Wayne has many things going for it: it is a well recorded, live concert; pianist Denny Zeitlin, who has been recording for over fifty years, is masterful to the point of completely taking over the listening space, and, last but not least, the material used as the base for his improvisation is a set of ten Wayne Shorter tunes, mostly from the mid-60s. For many jazz fans, the Davis/Shorter nexus practically defines the music called "post-bop" and belongs to the "golden era" which began with "be-bop," then "hard-bop" and finally "post-bop." In any case, most of the tunes have title recognition, if not melodic recognition, by which it is meant that most could not "hum" the tune, but could name it when it is played on the album. Shorter tunes are like that because of the way the melodies are constructed and how the lush harmonies and rhythm interact with it. The music is immediately recognizable in its entirety as "Shorter," but the details are for the most part ingeniously hidden under "the sound." The Piedmont Piano Company offers an annual performance in their own space to an audience that appreciates the music. Zeitlin took the opportunity to do a "Shorter set" and obviously learned this music and these tunes inside and out. His improvisations, most six minutes or longer, are more like excursions or ruminations, and end up washing over the listener in their vastness. Yes, a melodic fragment can be recognized (say, that of "Infant Eyes") here and there, but not recognizing the "ur text" in no way diminishes the depth, richness and sheer improvisatory invention of Zeitlin's playing. Each piece has it own mixture of that which has the sound of preparation with that of on-the-spot creation; this makes the album an exciting experience. Anyone who is unfamiliar with sixties Shorter should definitely look into the Blue Note and Columbia catalogs of this period and deeply imbibe in Shorter and Davis. The sheer pianistic virtuosity and high musicianship of Zeitlin makes Early Wayne a delightful gem and many times a mesmerizing experience. Speak No Evil; Nefertiti; Ju Ju; Teru; Toy Tune; Infant Eyes; Paraphernalia; Ana Maria; E.S.P. ; Miyako. E' uscito il nuovo album, "Blazar", del pluripremiato trio torinese guidato dal pianista Fabio Giachino e formato con il contrabbassista Davide Liberti e il batterista Ruben Bellavia. Prodotto e edito da Abeat Records, è stato presentato in anteprima a Bruxelles per rappresentare la città di Torino in occasione dell’EXPO-TO e dell’Expo 2015 di Milano. 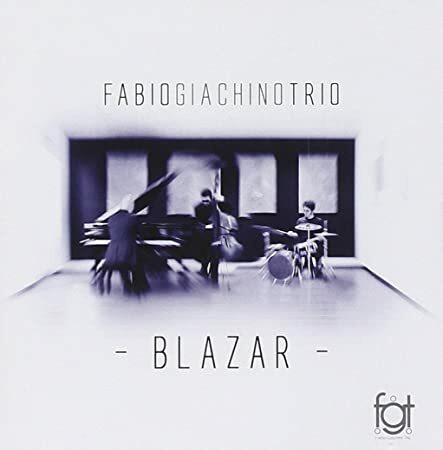 E' uscito "Blazar", il nuovo e terzo album del Fabio Giachino trio, una grande formazione che sta facendo sempre più parlare di sé e che si è affermata nel panorama italiano raccogliendo importanti riconoscimenti. Guidato dal pianista Fabio Giachino, insieme al contrabbassista Davide Liberti e al batterista Ruben Bellavia, il trio con "Blazar" firma il suo terzo lavoro, prodotto ed edito da Abeat Records, che segue i precedenti “Jumble up” (2014) e “Introducing Myself” (feat. Rosario Giuliani, 2012). In collaborazione con il Torino Jazz Festival, l'album è stato presentato in anteprima a Bruxelles presso l’Istituto Italiano di Cultura per rappresentare la città di Torino in occasione dell’EXPO-TO e dell’Expo 2015 di Milano. Il titolo dell'album richiama la passione di Giachino per l'astronomia: tecnicamente, il termine blazar siginifica "blazing quasi-stellar object", indicando un fenomeno energetico molto potente che ben rappresenta il carisma dirompente del trio e della sua musica, che sarà portata in tour nel 2015 toccando diverse città italiane. Il trombettista Fabrizio Bosso, nelle note di copertina: "Ho conosciuto Fabio qualche anno fa suonando come ospite del quartetto Jazz Accident e, fin da subito, ho capito che stava nascendo un grande talento. Credo che i progressi che ha fatto in questi ultimi anni siano veramente notevoli, lo dimostra questo riuscitissimo lavoro "Blazar", un disco che strizza l'occhio al jazz newyorkese, ma senza tralasciare la vena melodico-mediterranea che contraddistingue i jazzisti italiani in tutto il mondo. In quanto alla tecnica questo musicista non ha nulla da invidiare ai migliori pianisti della scena jazz internazionale, coadiuvato da una ritmica sempre pronta ad assecondare i suoi input musicali."